Fred’s mother-in-law writes a letter saying that she is staying with her favorite son-in-law and his wife and would be seeing them next week. Fred then attempts to fix an old hut for his mother-in-law and move it to his back yard. After the house falls off a cliff, mother-in-law stops by for a brief visit on her way to move in with her favorite daughter and son-in-law in Gravelton. 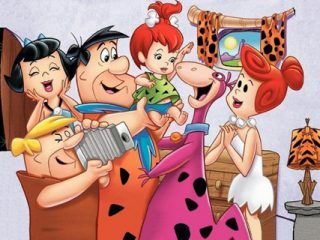 So when Fred’s mother-in-law stated that she was moving in with her favorite son-in-law, she did not mean Fred and Wilma (they just thought she did).